Contrary to popular gender feminist stereotypes, male members of many species routinely gather peaceably for camaraderie, and work. 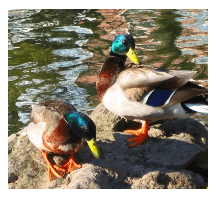 After a winter storm that brought 6.75 inches of rain to Van Nuys, standing water in the local park brought Mallard ducks to feed in small ponds of standing water. The four Mallard drakes in this video submerge their beaks in the shallow water and sift worms and other food from the pond’s muddy bottom. Van Nuys, like all of Los Angeles county, lies on a Southern portion of the Pacific flyway. It’s a place where many varieties of migratory waterfowl take refuge in cold winter months, while winter rages in far northern climates.